She survived darkness and despair as a teen. Now, creative writing, running marathons to raise awareness and studying for her Bachelor of Arts degree are all part of Massey student Whaiora Patrick’s vision to help vulnerable youth overcome mental health and poverty-related issues. 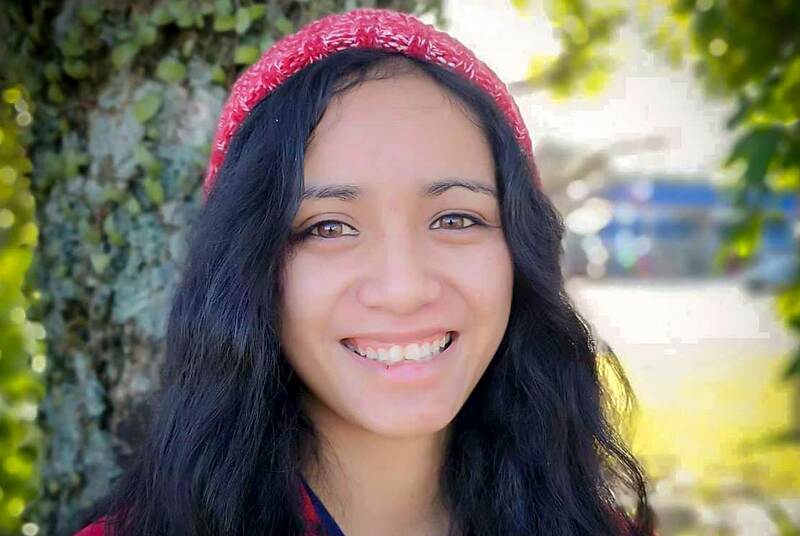 Whaiora, a distance student in Kawerau, will be speaking at the upcoming Festival for the Future in Wellington about child poverty and how it relates to mental wellbeing – challenges she has lived through herself. She has been invited to speak at the festival – run by youth leadership charitable trust Inspiring Stories as a participant in its Future Leaders programme. Whaiora, aged 23 and the proud parent of a beautiful one-year-old, is an advocate for mental health awareness and suicide prevention in her community, and says she is passionate about helping those who are less fortunate, especially youth. The festival offers a chance for youth voices to be heard, she says. Whaiora is one of several Massey students and staff speaking at the festival (#FFTF18) on July 27-29 at Wellington’s TSB Arena, which the University is supporting in light of its commitment to encouraging, inspiring and preparing students as civic leaders, global citizens and change-makers. The festival’s focus on empowering young leaders dovetails with the ethos of Massey’s lead festival support, the College of Humanities and Social Sciences, and its refreshed Bachelor of Arts (BA) degree: ‘Creative thinking for a changing world’. 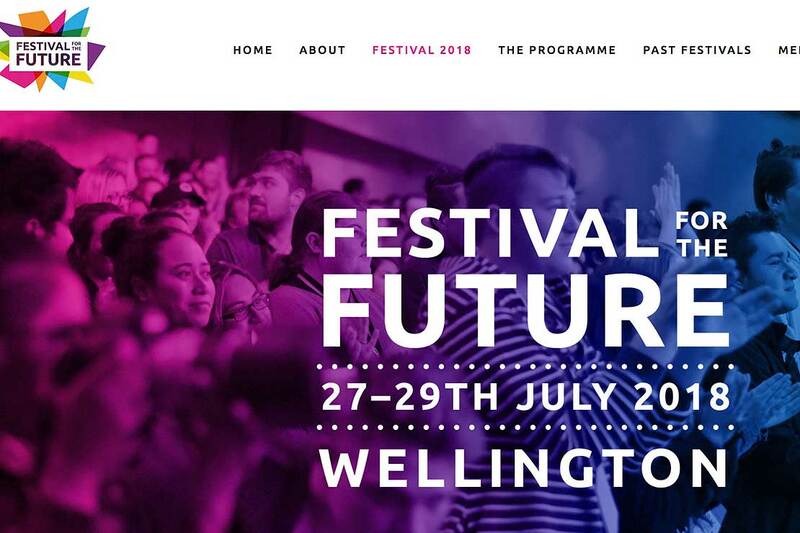 Massey University is a sponsor for the Festival for the Future 2018 in Wellington this year. How did you get involved in Festival for the Future - # FFTF18? Through Future Leaders Kawerau. Our local coach, Marlena Martin, messaged me one day asking if I would like to speak on one of the panels at FFTF18. I was so surprised and stoked! I pretty much agreed straight away as I love a new challenge. I got a phone call a few days later from Carina, the Future Leaders Programme Manager. She asked me why I wanted to be a panellist for child poverty and I pretty much told her it's because I've been through it. I grew up with a roof over my shoulders and food on the family table – my mum, who I adore, always made sure of it. However, we still struggled at the end of the day. From not being able to afford the right sized school uniform, to living in a women's refuge with my mum at the age of 15, these things potentially affected my self-esteem, confidence and mental health as a teenager. Mental health issues of today in Aotearoa is a huge passion of mine, so being able to share my experiences with both poverty and poor mental health because of it, is what I'll be aiming to share at FFTF18. What/who inspired you to become a future leader? I remember seeing applications for Future Leaders on Facebook and was considering applying but I completely forgot about it. About a month later, Marlena suggested I apply. She said I had some great ideas that may benefit the youth of Kawerau as well as the community. Prior to Future Leaders, I was setting goals for myself to create more of an awareness for mental health in our country. I started with entering a local story competition, where I wrote about the recovery of self-harm, and came second. Then in May this year, I ran my first marathon in Rotorua on behalf of the Mental Health Foundation of New Zealand (MHF). So, for that I raised funds for the MHF as well as becoming an advocate for mental health. I guess what inspired me to become a Future Leader is the fact that I want to help young people who are going through hard times, simply because I know what it's like. I've been there before, in that dark and lonely place where depression and suicidal tendencies cloud your mind, in fact it nearly took my life four times in 2014. However, now that I'm in a much happier and more peaceful state, I want to help the youth of our country to know that it's okay to not be okay. Helping young people is what inspired me to become a Future Leader. What’s the main theme/message you will be talking about at the festival? I want my voice, as well as other young peoples' voices, to be heard. In Kawerau, there's a lack of communication between youth and the older generations, and I want to break that barrier. So, I plan to do that at Festival. I also want to bring forth the idea that child poverty potentially plays a role in an adolescent’s life, particularly with their mental health. No teenager wants to be known by their peers as the poor girl who can't afford to go on a school trip, or the poor boy who can't buy the correct school uniform or shoes for school. These factors alone create teenagers to feel ashamed of themselves and have the tendency to create negative views of themselves or others. To reinforce this idea, I'm willing to share my own experiences. I'm quite open about what I share, I'm no longer ashamed, because how do I not know that my story won't help another person? What do you hope to get from attending the festival? Meeting potential people that have the same dreams and passions as me, such as [Massey University business student and mental health advocate] Ezekiel Raui. I like meeting new people. I'm quite an introvert and quiet person, but I like to challenge myself, so going to the festival will be a huge step for me, even being on a panel! What drives or inspires you in your studies? Getting that degree in the end! I started with Massey in 2015. It's been a long and tough road I'll admit. There have been times where I've had at least 40 seconds to submit an assignment! But I always make sure that I never fail to submit an assignment on time. I always push myself when I fall behind. I guess it is determination – that's what drives me in my studies. What other social or community projects or actions are you involved in as a leader? With Future Leaders, we're currently discovering ways on how we're going to help the youth of Kawerau find what they're passionate about. That involves me talking to local businesses and motivating our younger Future Leaders. And I do all this voluntarily, but I don't mind. Outside of that, I don't really do much as my studies and my toddler keep me occupied. What are your hopes and dreams beyond university? I want to create workshops for young people and even parents and teachers to help them understand mental health and suicide more. I know there are people like Mike King who go into the schools, and that’s awesome…but what if we could implement a more ongoing, accessible thing such as workshops to empower the young people of Aotearoa? I think that would be wicked. If telling people to go find help when they're feeling down is not working, why not offer the help and go to those who need and want it? Admitting that life is not okay is not something a lot of people are comfortable discussing. So, a workshop for youth that’s fun and proactive may work. We never know unless we try.